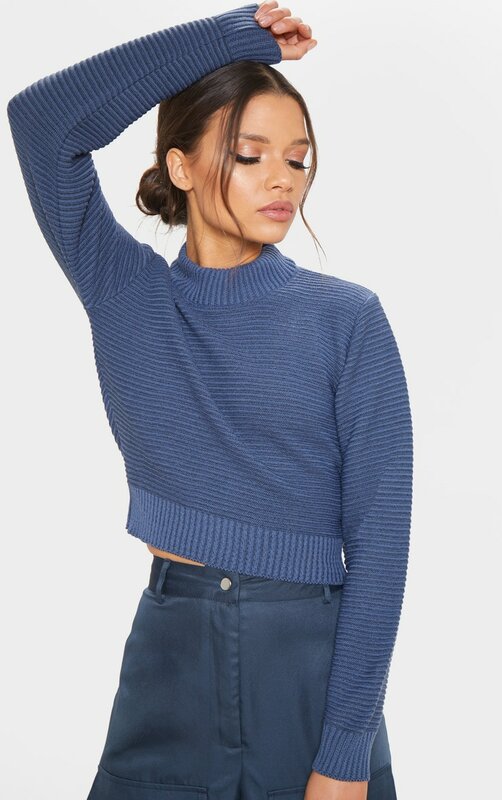 Give your everyday look an edge with this jumper. 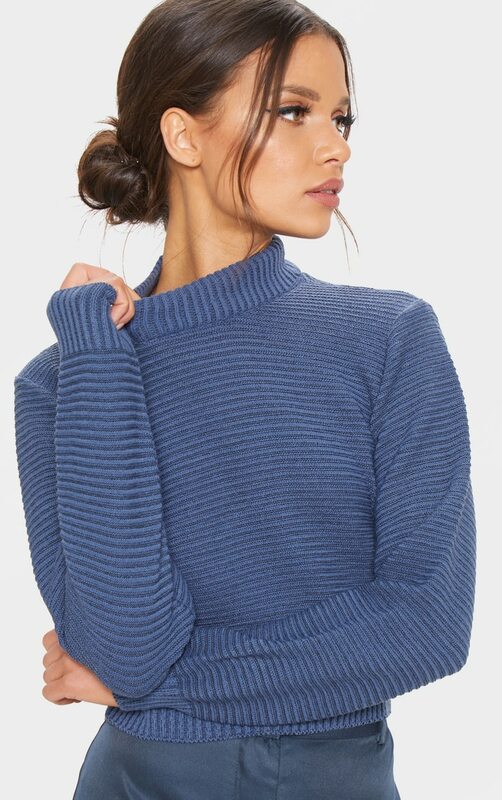 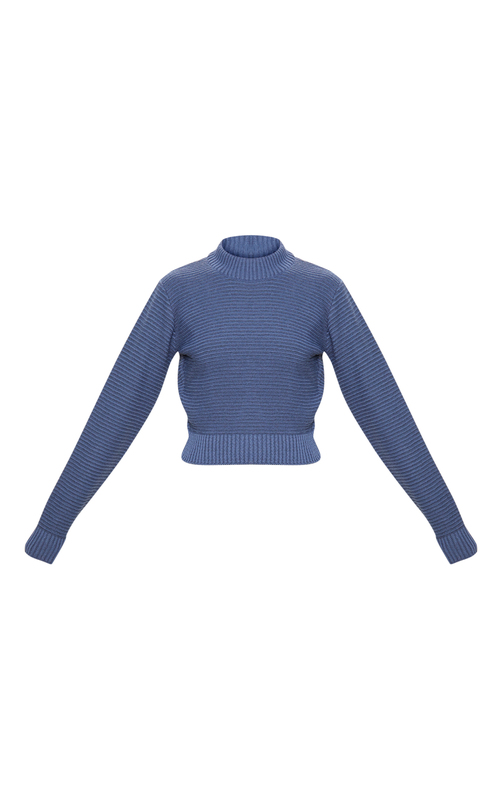 Featuring a petrol knitted material with a high neck and a cropped length. 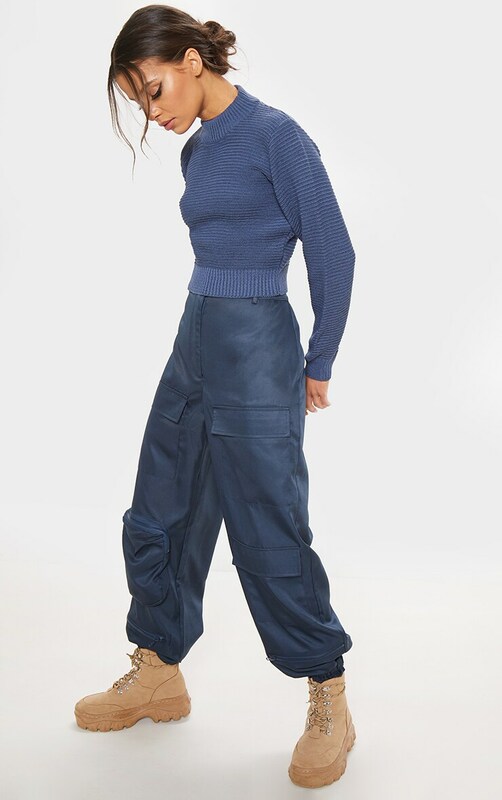 Team this with matching hue cargo bottoms and hiker boots to give your look a cool vibe.